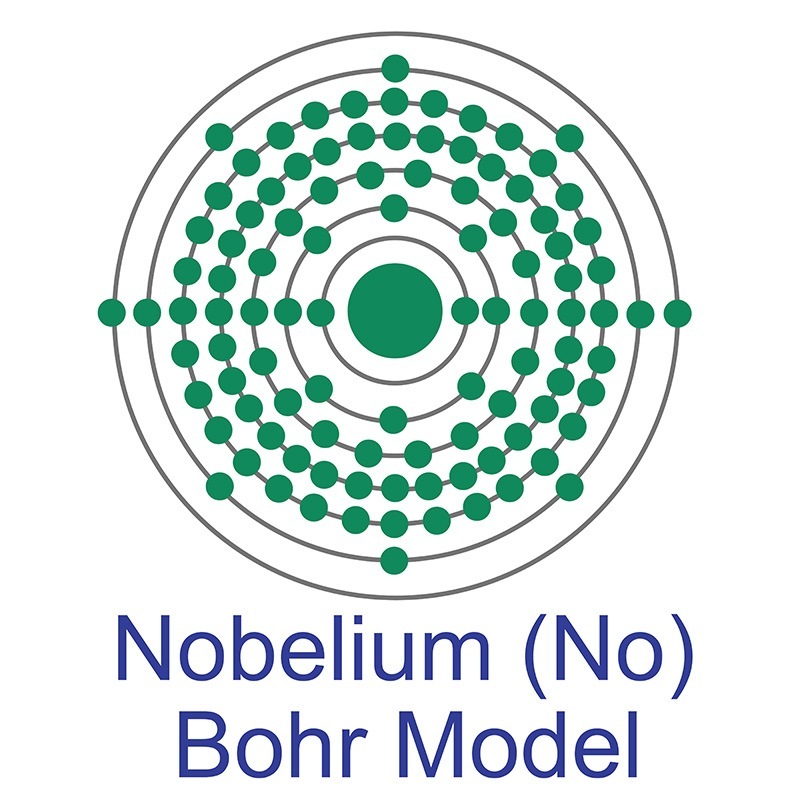 The discovery of nobelium, a synthetic member of the actinide series, was fraught with controversy and competing claims, and some disagreement persists to this day. Three separate groups have claimed its discovery, and it wasn’t until the 1990s that the IUPAC declared the credit belonged to Russia. It was named nobelium when scientists at the Nobel Institute in Sweden claimed they had discovered it in 1957. That experiment was later discredited and they had to retract their claim, but the name remained. Researchers at UC Berkeley claimed they detected it in 1959, but that work was not verified. Later, work by the Russian Joint Institute for Nuclear Research was credited as the first to correctly identify nobelium. Only small amounts of nobelium have ever been produced, and its longest-lived isotop has a half-life of only 58 minutes. Much remains unknown about this element and no commercial applications have been developed. However, it has been used to study nuclear fission. Nobelium is a Block F, Group 3, Period 7 element. The number of electrons in each of nobelium's shells is 2, 8, 18, 32, 32, 8, 2 and its electron configuration is [Rn] 5f14 7s2. The nobelium atom has a Van der Waals radius of 246.pm. In its elemental form, nobelium's CAS number is 10028-14-5. Nobelium is radioactive and its appearance is unknown. The discovery of nobelium was first claimed by researchers in Sweden and then at UC Berkeley in the United States, but these claims could not be verified. The Russian Joint Institute of Nuclear Research was the first team to be able to provide proof of their discovery of the element that was accepted by the international scientific community. Nobelium was named in honor of Alfred Nobel, the inventor of dynamite. Nobelium is an artificial element. It has no stable isotopes.